The College Football Playoff is Back! and the Taco Bell Live Más Student Section is set to be the best yet. 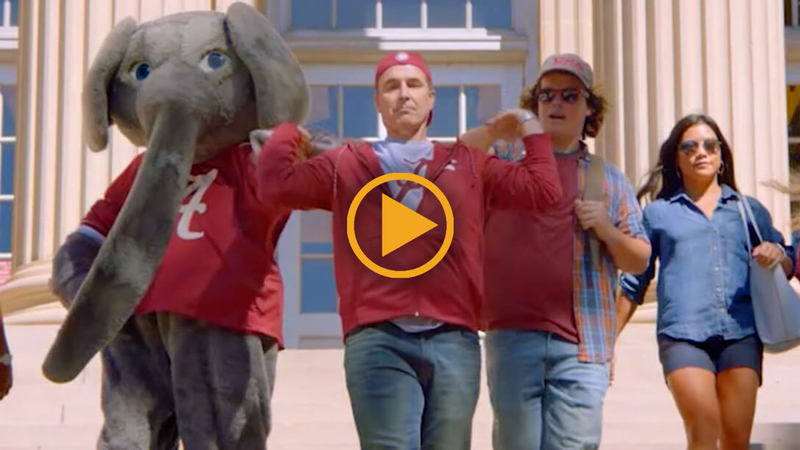 We are sending the biggest fans back to the College Football Playoff Semifinals and National Championship Game. 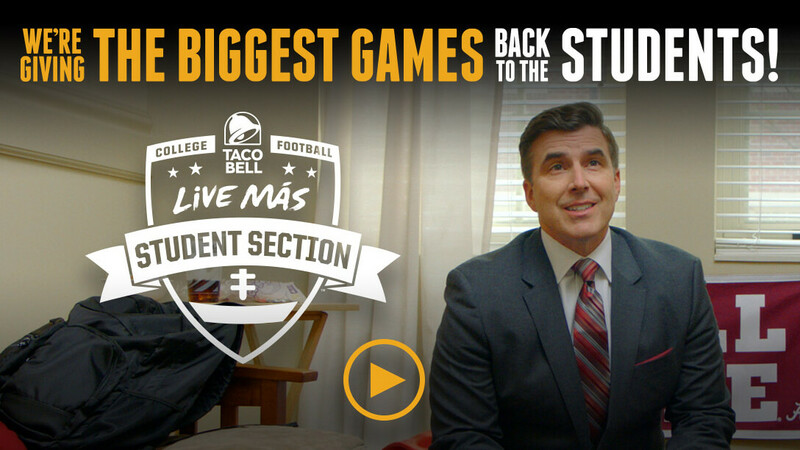 Taco Bell is bringing the Live Más Student Section back to the College Football Playoff for the 4th consecutive year! Taco Bell and the College Football Playoff are picking up the tab for 3,000 student tickets — 500 for each school at each of the three games. Once the 4 participating teams are announced, Taco Bell will work with each school's athletic department to distribute the tickets. Watch the College Football Playoff Selection Show on Sunday, December 3rd at 12:45pm ET on ESPN to see if your school qualifies. Show us your student spirit! We're reserving an additional 60 tickets — 10 per school, per game — for the best student section fans. 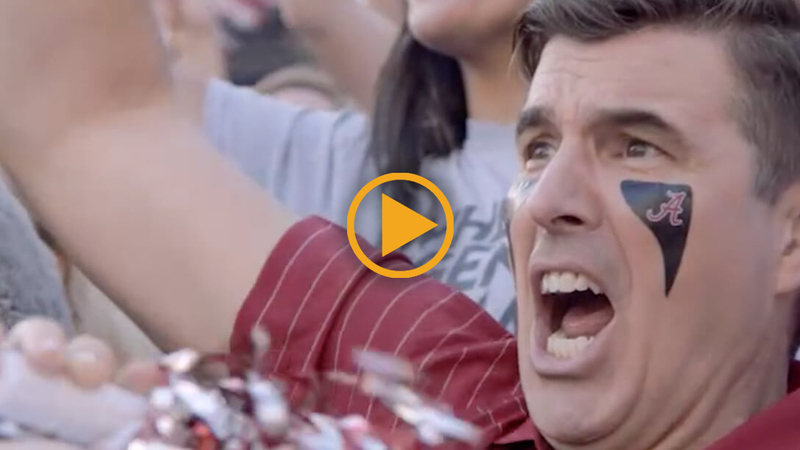 If your school makes the College Football Playoff, you could be selected for a chance to win two tickets to the Playoff Semifinal at the Rose Bowl Game presented by Northwestern Mutual or the Playoff Semifinal at the Allstate Sugar Bowl. If your school wins in those games, you could also be going to the national championship game on January 8 in Atlanta! Note: contest is open to current students only. Follow @ESPN or @ESPNCFB on Twitter or Instagram and make sure that your account is public. Upload a photo of yourself showcasing your student section spirit to Twitter or Instagram using #LiveMasSpiritContest and an optional hashtag representing your college. If you're a potential winner, ESPN will direct message you via Twitter or Instagram between December 5 and 8 with details on how to claim your tickets. Eligibility: Live Más Spirit Contest (the "Contest") is open only to legal residents of the fifty (50) United States and the District of Columbia who are at least eighteen (18) years old or older and who are currently enrolled as part-time or full-time students at a Football Bowl Subdivision ("FBS") college or university at the time of entry. For a full list of the current FBS college or universities, please visit http://www.espn.com/college-football/teams. Employees of Taco Bell Corp., ESPN, Inc., teamDigital Promotions, Inc., and any of their respective parent companies, subsidiaries, affiliates, suppliers, distributors, advertising/promotion agencies, and prize suppliers, and each of their respective parent companies and each such company's officers, directors, employees and agents (hereafter "Released Parties") as well as the immediate family (spouse, parents, siblings and children and their spouses) and household members of each such employee are not eligible. The Contest is subject to all applicable federal, state, and local laws and regulations and is void where prohibited. Sponsor: Taco Bell Corp., 1 Glen Bell Way, Irvine, CA 92618. Administrator: teamDigital Promotions, 6 Berkshire Blvd, Bethel, CT 06801. Promoter: ESPN Internet Ventures, 77 West 66th Street, New York, NY 10023. Agreement to Official Rules: Participation in this Contest constitutes entrant's full and unconditional agreement to these Official Rules and Sponsor's and Administrator's decisions, which are final and binding in all matters related to this Contest. Winning a prize is contingent upon fulfilling all requirements set forth herein. Timing: The Contest submission period begins on October 21, 2017 at 12:00 a.m. Eastern Time ("ET") and ends on December 2, 2017 at 11:59:59 p.m. ET (the "Submission Period"). Sponsor's computer is the official time-keeping device for the Contest. How to Enter: You must follow @ESPN or @ESPNcfb on Instagram or Twitter. 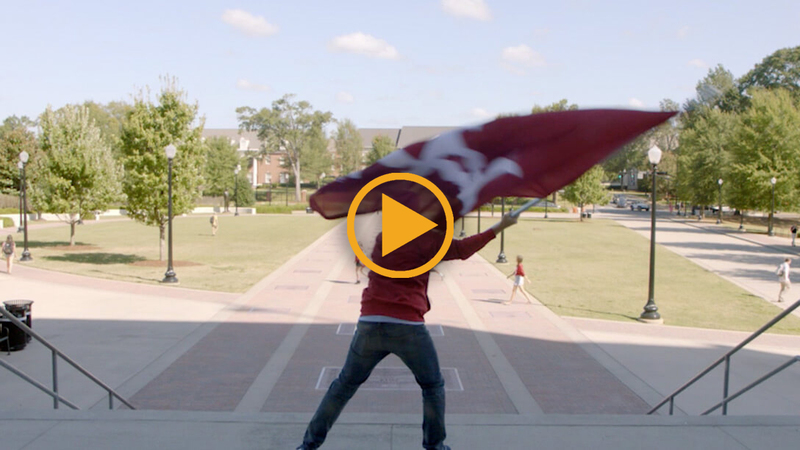 During the Submission Period, upload one (1) photo to either Instagram or Twitter that displays your school spirit and represents your college football team, including the hashtag #LiveMasSpiritContest, collectively referred to as your "Submission". In addition to your Submission, you may also add a distinguishable or recognizable hashtag for your school. The hashtag for your school is optional and not required for Contest Entry. In order for your Submission to be eligible and entered into the Contest, your Submission must include the photo and the hashtag #LiveMasSpiritContest, and your Twitter or Instagram account (as applicable) must be public and thus viewable by the Sponsor and its agents. All terms and conditions of Twitter and Instagram apply. By uploading your Submission, you agree that your Submission conforms to the Photo Guidelines and Content Restrictions as defined below (collectively, the "Guidelines and Restrictions") and that Sponsor, in its sole discretion, may disqualify you from the Contest if it believes that your Submission fails to conform to the Guidelines and Restrictions. Standard text messaging and/or data rates apply to entrants who submit or participate via a wireless mobile device. Wireless service providers ("Provider") may charge for airtime for each message sent and received. Call Provider for pricing and service plan before mobile device participation. To participate without using your mobile device, entrant may deactivate their mobile phone from their Instagram and/or Twitter account and enter via a computer or tablet. If you do not have an Instagram account, you may sign-up for free by visiting www.instagram.com and following the enrollment instructions. By uploading your Submission on Instagram, you are acknowledging and agreeing that Sponsor has the right to pull your Submission through the Instagram API or otherwise use your Submission as set forth in these Official Rules. If you do not have a Twitter account you may sign-up for free by visiting www.twitter.com and following the enrollment instructions. By uploading your Submission on Twitter, you are acknowledging and agreeing that Sponsor has the right to pull your Submission through the Twitter API or otherwise use your Submission as set forth in these Official Rules. Twitter or Instagram account (as applicable) must be public. Limit: Each entrant may submit up to one (1) unique Submission per day to Instagram and up to one (1) unique Submission per day to Twitter during the Submission Period, for a maximum total of eighty-six (86) Submissions (maximum forty-three (43) Instagram Submissions and maximum forty-three (43) Twitter Submissions) during the Submission Period. For the purposes of this Contest, a "day" is defined as a calendar day. Submissions received from any account or person using multiple accounts in excess of the stated limit will be void. Submissions generated by script, macro or other automated means are void. Entrant must have permission from all individuals that appear in the Submission (if any) to use their name and likeness in the Submission and to grant the rights set forth herein. If requested, entrant must be able to provide such permissions in a form acceptable to Sponsor. Released Parties (as defined in Section 9, below) are not responsible for lost, late, stolen, damaged, incomplete, invalid, un-intelligible, garbled, delayed or misdirected Submissions; all of which will be void. In the event of a dispute as to any Submission, the authorized account holder of the email address associated with the Instagram or Twitter account used to enter will be deemed to be the entrant and must comply with these Official Rules. The "authorized account holder" is the natural person assigned an email address by an Internet access provider, online service provider or other organization responsible for assigning email addresses for the domain associated with the submitted address. Each entrant may be required to show proof of being an authorized account holder. Rights Granted: Uploading a Submission constitutes entrant's consent to give Sponsor its parent, subsidiary and affiliated entities, and each of their respective licensees, distributors, agents, representatives and other authorized users including, without limitation, advertisers/sponsors directly associated with the Contest (collectively, the "Licensed Entities") a royalty-free, sublicensable, transferable, irrevocable, perpetual, non-exclusive license to use, reproduce, modify, publish, create derivative works from, and display such submissions in whole or in part, on a worldwide basis, and to incorporate it into other works, in any form, media or technology now known or later developed, including for promotional or marketing purposes. If requested, entrant will sign any documentation that may be required for Sponsor or its designees to make use of the non-exclusive rights entrant is granting to use the Submission. Entrant acknowledges that the Submission may be edited and/or added to for any reason and in any manner which the Licensed Entities may, in their sole discretion, determine and may, to the extent decided by the Licensed Entities in their sole discretion, have other elements added to the Submission, and that the Licensed Entities may use and modify the Submission or any portion or element of it and combine it with other materials. Any use of a Submission in any media during the Contest Period is at Sponsor's and/or Promoter's discretion and does not give Entrant any advantage in winning the Contest. Rose Bowl and Sugar Bowl Prizes: The five (5) entrants from each of the four (4) schools that are selected to play in the Rose Bowl and Sugar Bowl (each a "Playoff," collectively the "Playoffs") with the highest-scoring Submissions (based on the Judging Criteria outlined above) from among all eligible Submissions for those schools will be the potential winners of the Rose Bowl Prizes and Sugar Bowl Prizes, for a total of twenty (20) winners. In the event of a tie, the entrant whose Submission received the highest score for Fit to Contest Theme, as determined by the judges, in their sole discretion, will be deemed the potential winner. Sponsor reserves the right to select fewer than twenty (20) potential winners, if, in its sole discretion, it does not receive a sufficient number of eligible and qualified Submissions. Championship Prizes: The five (5) winners of the Rose Bowl Prize and five (5) winners of the Sugar Bowl Prize whose schools move on to the College Football Championship (the "Championship") will also win the Championship Prize, for a total of ten (10) winners. Winner Requirements: Potential winners will be notified via Instagram or Twitter by Promoter. Potential Rose Bowl Prize and Sugar Bowl Prize winners will be notified on or around December 8, 2017. Entrants must have their Instagram or Twitter accounts marked as public. Potential Rose Bowl Prize and Sugar Bowl Prize winners must respond to the notification from Promoter with contact information as directed within the notification within twenty-four (24) hours or the prize will be forfeited. Except where prohibited, each potential Rose Bowl Prize, Sugar Bowl Prize, and Championship Prize winner (parent/legal guardian if a minor in his/her state of residence) will also be required to sign and return a Declaration of Compliance, Liability and Publicity Release (collectively, the "Declaration of Compliance"), in order to claim his/her prize. Administrator must receive the Declaration of Compliance from each Rose Bowl Prize winner and each Sugar Bowl Prize winner within forty-eight (48) hours from the time notice or attempted notice is sent, and Administrator must receive the Declaration of Compliance and W-9 Form from each Championship Prize winner within twenty-four (24) hours of the time notice or attempted notice is sent. If a potential winner cannot be contacted, fails to execute and return the Declaration of Compliance or provide any other requested information within the required time period (if applicable), does not comply with these Official Rules, or prize is returned as undeliverable, potential winner forfeits the prize. If a potential winner is disqualified for any reason, the prize may be awarded to a runner-up, if any, in Sponsor's sole discretion. Only three (3) alternate winners may be determined, after which the applicable prize will remain un-awarded. Acceptance of any prize shall constitute and signify each winner's agreement and consent that Sponsor and its designees may use the winner's name, city, state, likeness, photo, Submission and/or prize information in connection with the Contest for promotional, advertising or other purposes, worldwide, in any and all media now known or hereafter devised, including the Internet, without limitation and without further payment, notification, permission or other consideration, except where prohibited by law. Without limiting the generality of these Official Rules, each winner shall irrevocably grant, transfer, convey and assign to Sponsor the entirety of the rights in and to the Submission and all renewals and extensions of copyright, and the right to secure copyright registrations thereto in perpetuity including, without limitation, the rights to use the Submission for any and all purposes in any and all media whether now known or hereafter developed, on a worldwide basis, in perpetuity. Each winner accepts and acknowledges that Sponsor shall not be obligated to use the Submission and that Sponsor in its sole discretion shall have the right to refrain from using the Submission. Sponsor shall not incur any liability whatsoever to the extent Sponsor chooses to refrain from any exploitation of its rights hereunder. Each winner will indemnify Sponsor, Released Parties (as defined in Section 9, below) and any licensee of Sponsor against all claims, damages, liabilities, and expenses (including reasonable counsel fees and legal expenses) arising out of any breach of these terms. Tickets will be at will call (student ID required to receive prize at will call). TEN (10) ROSE BOWL PRIZES (five (5) winners per school selected for the Rose Bowl): Each winning entrant will receive two (2) tickets to the Rose Bowl. Approximate Retail Value ("ARV"): $400. TEN (10) SUGAR BOWL PRIZES (five (5) winners per school selected for the Sugar Bowl): Each winning entrant will receive two (2) tickets to the Sugar Bowl. ARV: $400. TEN (10) CHAMPIONSHIP PRIZES (five (5) winners per school selected for the Championship): Each winning entrant will receive two (2) tickets to the Championship. ARV: $900. Total ARV of all prizes $17,000. For All Prizes: Prizes are non-transferable and no substitution will be made except as provided herein at the Sponsor's sole discretion. Sponsor reserves the right to substitute a prize for one of equal or greater value if the designated prize should become unavailable for any reason. PRIZE DOES NOT INCLUDE TRAVEL TO/FROM THE GAME. Winners are responsible for all travel and other expenses related to attending the games, and for all taxes and fees associated with acceptance and/or use of the prize. Limit: One (1) Rose Bowl Prize or Sugar Bowl Prize and one (1) Championship Prize per person. Release: By receipt of any prize, winners agree to release and hold harmless the Released Parties from and against any claim or cause of action, including, but not limited to, personal injury, death, or damage to or loss of property, arising out of participation in the Contest or receipt or use or misuse of any prize. General Conditions: Sponsor reserves the right to cancel, suspend and/or modify the Contest, or any part of it, if any fraud, technical failures, human error or any other factor impairs the integrity or proper functioning of the Contest, as determined by Sponsor in its sole discretion. If terminated Sponsor may, in its sole discretion, determine the winners from among all non-suspect, eligible Submissions received up to time of such action using the judging procedure outlined above. Sponsor, in its sole discretion, reserves the right to disqualify any individual it finds to be tampering with the Submission process or the operation of the Contest or to be acting in violation of the Official Rules of this or any other promotion or in an unsportsmanlike or disruptive manner and void all associated Submissions. Any attempt by any person to deliberately undermine the legitimate operation of the Contest may be a violation of criminal and civil law, and, should such an attempt be made, Sponsor reserves the right to seek damages and other remedies (including attorneys' fees) from any such person to the fullest extent permitted by law. Sponsor's failure to enforce any term of these Official Rules shall not constitute a waiver of that provision. Limitations of Liability: Released Parties are not responsible for: (1) any incorrect or inaccurate information, whether caused by entrant, printing, typographical or other errors or by any of the equipment or programming associated with or utilized in the Contest; (2) technical failures of any kind, including, but not limited to malfunctions, interruptions, or disconnections in phone lines or network hardware or software; (3) unauthorized human intervention in any part of the Submission process or the Contest; (4) printing, typographical, technical, computer, network or human error which may occur in the administration of the Contest, the uploading, processing or judging of Submissions or votes or the tabulating of votes, the announcement of the prizes or in any Contest-related materials; (5) late, lost, undeliverable, damaged or stolen Submissions and/or hashtags; or (6) any injury or damage to persons or property which may be caused, directly or indirectly, in whole or in part, from entrant's participation in the Contest or receipt or use or misuse of any prize (including any travel/activity related thereto). Released Parties are not responsible for misdirected or undeliverable Submissions or for any technical problems, malfunctions of computer systems, servers, providers, hardware/software, lost or unavailable network connections or failed, incomplete, garbled or delayed computer transmission or any combination thereof. Released Parties are not responsible for any unauthorized third-party use of any Submission. Disputes: Except where prohibited, entrant agrees that: (1) any and all disputes, claims and causes of action arising out of or connected with this Contest or any prize awarded shall be resolved individually, without resort to any form of class action, and exclusively by the United States District Court for the Eastern District of Michigan (Southern Division) or the appropriate Michigan State Court located in Oakland County, Michigan; (2) any and all claims, judgments and awards shall be limited to actual out-of-pocket costs incurred, including costs associated with entering this Contest, but in no event attorneys' fees; and (3) under no circumstances will entrant be permitted to obtain awards for, and entrant hereby waives all rights to claim, indirect, punitive, incidental and consequential damages and any other damages, other than for actual out-of-pocket expenses, and any and all rights to have damages multiplied or otherwise increased. All issues and questions concerning the construction, validity, interpretation and enforceability of these Official Rules, or the rights and obligations of the entrant and Sponsor in connection with the Contest, shall be governed by, and construed in accordance with, the laws of the State of Michigan without giving effect to any choice of law or conflict of law rules (whether of the State of Michigan or any other jurisdiction), which would cause the application of the laws of any jurisdiction other than the State of Michigan. Winner List: For a winner list, visit winners.teamDigital.com/livemasspirirtcontest. The winner list will be posted after winner confirmation is complete. The Sweepstakes and all accompanying materials are copyrighted © 2017 ESPN Internet Ventures. 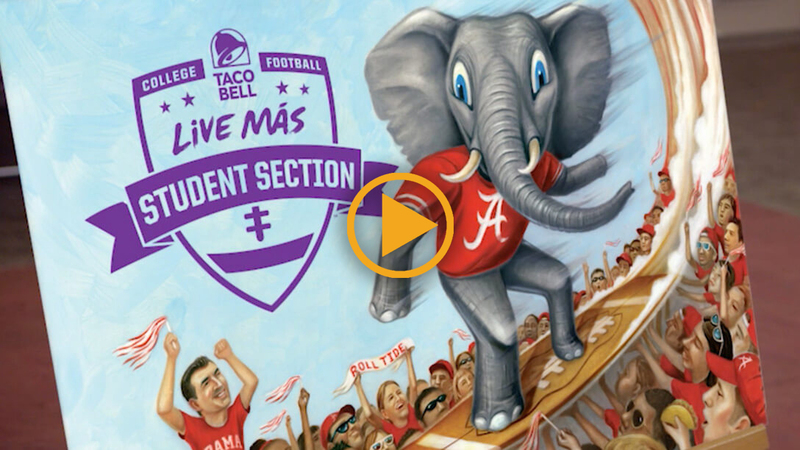 The Live Más Student Section entry period ended 12/2/2017 at 11:59PM ET. Potential winners will be notified via direct message soon and will have 24 hours to respond via the link provided to submit full contact information. Please note: All tickets will be distributed on the day of the game in those cities, no tickets will be mailed.